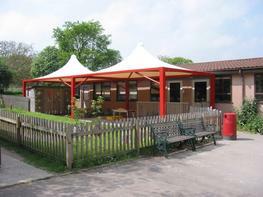 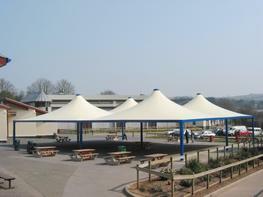 The Codale Conic is a stylish canopy that is perfect for a range of applications including a colourful playground canopy, outdoor dining canopy and student social or study canopy. 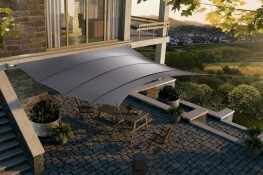 Due to its ability to span from as little as 3m x 3m up to 15m x 15m, this stunning fabric canopy will cover your needs however big or small. 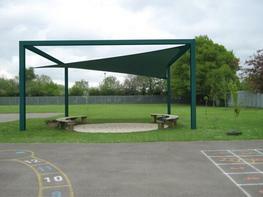 This cost effective shade and shelter structure is constructed from a galvanised steel frame that can be coloured in a choice of 25 matt colours including natural and vibrant shades. 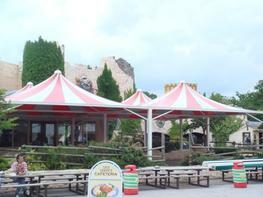 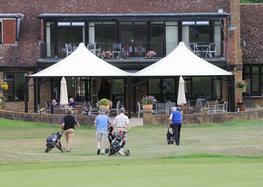 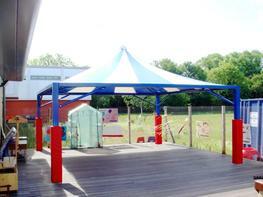 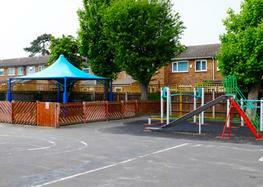 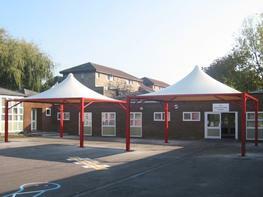 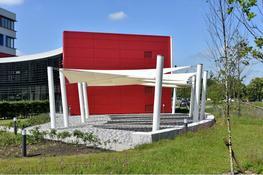 Integral guttering is hidden within the canopy beams and drains down the canopy leg posts. 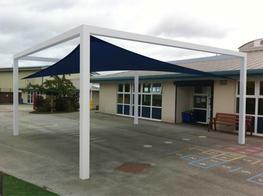 This gives the canopy a sleek, clean line appearance. 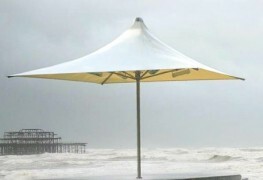 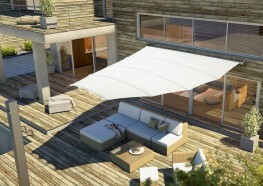 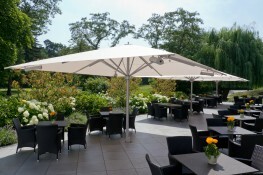 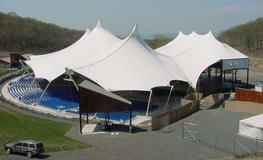 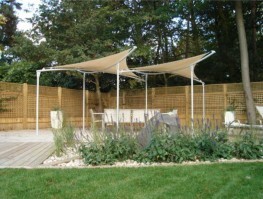 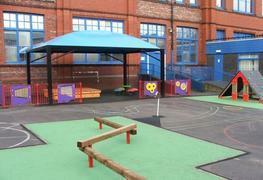 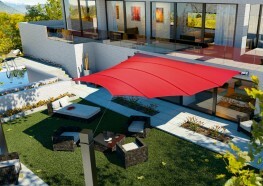 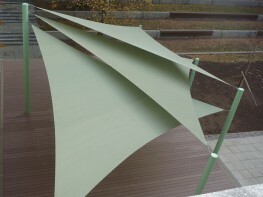 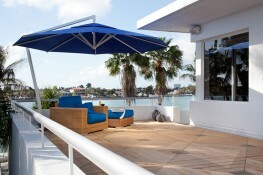 The frame is covered with high quality 650gsm waterproof tensile fabric that is also available in 16 different colours. 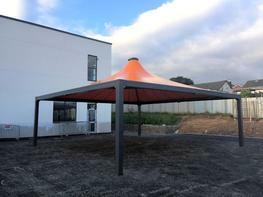 The roof fabric offers 100% UV protection and is completely waterproof, fire retardant and has anti-fungicidal properties. 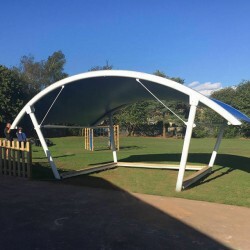 Please note that these product properties are not a replacement for the manufacturer's literature and it is always recommended that Able Canopies is consulted before specifying.